Critically acclaimed since its publication in 1991, the BC history of choice has now been revised. Here is the story of Canada's westernmost province, beginning at the point of contact between Native peoples and Europeans and continuing up to 1995.Jean Barman tells the story by focusing not only on the history made by leaders in government but also by including the roles of women, immigrants, and Native peoples.She interweaves political, social, economic, and demographic events into an absorbing account that reveals the roots of contemporary British Columbia in all its diversity and apparent contradictions. The revised edition has been updated to include information from the 1991 census and revisions have been made throughout the book, including the references, to update it to 1995. Ever since I forced myself through the pages of Barman's much-hyped history of my province I have been wanting to analyze all its many shortcomings.Unlike the other reviewers, I thought this to be one of the most poorly-written (and over-written) of all BC histories.I have given it three stars rather than two because of the amount of detail it DOES contain.However, so much of this detail is misanalyzed or misrendered that, in terms of giving an appreciation of the flavour of BC history, it does little more than trot out all the usual politically-correct latterday assumptions about BC and, in many cases, glosses over or completely ignores some of the most interesting bits. Barman lives in BC, but her life there has been limited to Point Grey, aka the UBC campus, and it is clear she does not have any idea of the rest of the province. Aside from her annoying habit of not capitalizing "the Interior" or "the Central Interior" most of her book focusses on issues that have to do with her own area of academic interest (sociology).Her obsession with denominational analyses of society and education is completely out-of-place for a province whose history is more driven by those who had either abandoned religion, or taken up more eccentric or extreme religions. In my own opinion, comparing it to other writing on BC, even Bowering's also-flawed book, this is not a very readable book, despite the blurb on its cover about it being "wonderful and evocative" - perhaps a reference to her many quotations from the writings of Emily Carr.Among those quotations was one that struck my eye and serves as an example of Barman's glossing-over or miscomprehension of detail.Carr describes a journey up the PGE line and Barman quotes this journey as an example of the life of desperation of the 1930s, the train being full of haggard-looking pioneers and squawling children.Carr's description of miners in the Pioneer Mine in the Bridge River Country paints a picture of misery.Actually, the area into which Carr journeyed was one in which she did not stay long and obviously did not much appreciate; that area was one of the "boom" areas in BC in the 1930s and was largely immune from the depradations afflicting the rest of the province at that time; the dirty, tired miners she saw coming up out of the lift at Pioneer were part of a dynamic and hard-working local society; the haggard-looking folks on the train were typical of teh whole Lillooet Country even into the 1970s.That Barman could even mention that area without quoting other, more relevant and accurate descriptions of it by Margaret "Ma" Murray or the dynamism of characters such as Charlie Cunningham or Ned Smith makes me doubt the value of her descriptions of other parts of the province.Another train-related error has to do with her comment on the increased contact with the Prairies in the 1950s, which she suggests had to do with the opening of the PGE line to BC's Peace River Country - which was in fact as isolated from the rest of the Prairies as it was from the rest of BC and was as unlikely a route as any for migration from the Prairies to BC, given that isolation and the fact that the southern passes are the route by which the Prairie influx came (considering her interest in denominational politics, it is curious she does not mention the mass movement of Prairie Mennonites into the Fraser Valley in this regard).Whether the PGE even had passenger service to beyond Prince George to Fort St. John I am unsure of, but doubtful.This was one of many passages that had me wondering if she'd ever been farther from Point Grey than, perhaps, Surrey. I would have to force myself to read this book again to find more examples of the shortcomings of this work, but I found it too much of a pain from the very first pages onwards.One that comes to mind is her analysis of the reasons for anti-Oriental sentiment leading up to the Anti-Oriental Riots of 1907.She dismisses the white feeling that the Chinese were willing to work for a third of the wages of others as a "perception", following up with a "the reality was" that the low wages paid by Chinese snakehead companies to other Chinese were much higher than those they could have earned back in Kwangtung.The truth is that BOTH are realities, and of course conflicting ones at that.The deeper issue of racism here - that the railway companies and others who were willing and ready to pay lower wages to the Chinese was FAR more racist than the reaction of out-of-work non-Chinese workers (including Indians and East Indians) in response - goes unobserved.But that, of course, would be politically incorrect. 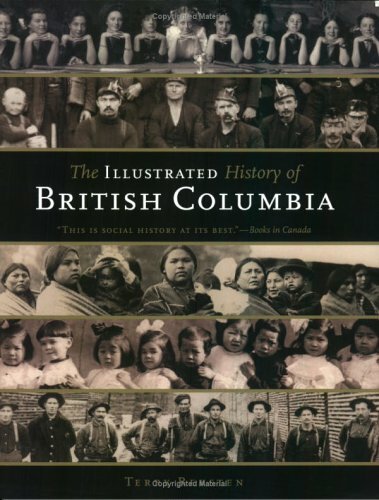 Up until I read this book I did not understand BC politics or Native issues.The early workings of the political parties are uncovered along with their philosophies.Barman graphically describes British Columbia over the century capturing the spirit of what it means to be a British Columbian. I would just add a few more points to the review that was already written on this book. 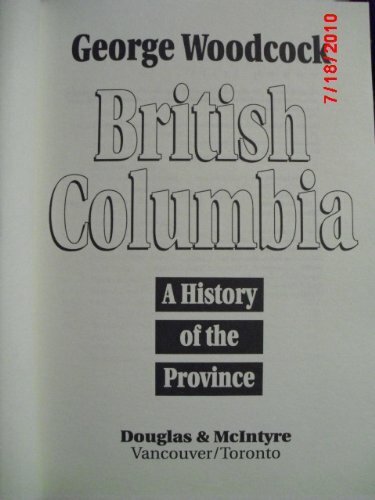 Most books that attempt to portray a history of British Columbia will undoubtedly be contrasted against Margaret Ormsby's 1958"B.C. : A History". Barman's book is no different. 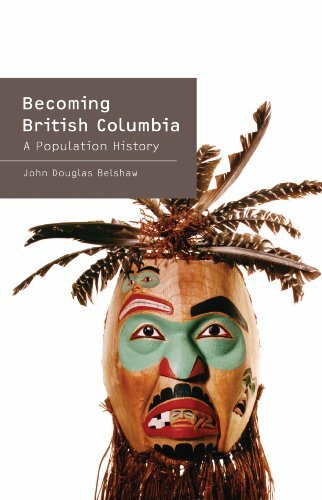 I agree that itdoes provide an excellent regional history of this province (thus making ita staple textbook for many university classes), yet it can also be viewedin the context of the changing historiography of British Columbia. Barmanhas chosen to focus on the many social aspects of B.C. 's history that mayhave been neglected in past works. The previously mentioned work by Ormsbywould be a case in point - "B.C. : A History" spent adisproportionate ammount of time on BC's pre-confederation, colonial past.Where Ormsby's emphasis was put on individual accomplishment - usually bywhite men - to the detriment of other facets of society (such as Natives,Women, Immigrants, etc. . . ), Barman, and the new generation of historianssince the 1950s, have sought to write a more inculsive history. And this iswhat "The West Beyond The West" is. Unfortunately, I believe ithas gone to far. This is a similar point that has been made by RobinFischer (another BC historian) on a variety of other occasions; that theemphasis on "social" history in this province has come at theexpense of a greater understanding of "political" history. 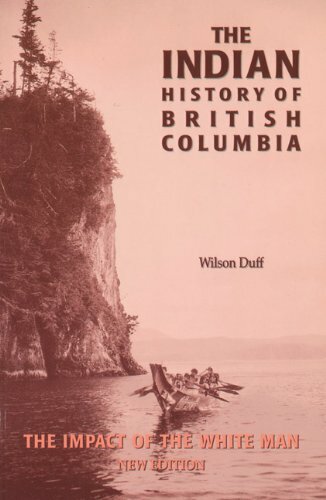 If youare thus going to be reading "The West Beyond The West" to tryand find a deeper understanding of BC's political tradition you are goingto be hard pressed to find it in this book. 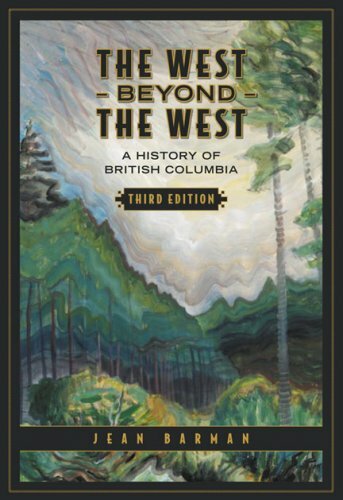 Brian Wayne Wells, reviews "The West Beyond the the West"
This is one of the best regional histories that this reviewer has ever read.The book imparts a real flavor of the overall history of the Province of British Columbia. British Columbia, Canada's most western province, is part of the Pacific rim with Chile, Peru, California, Oregon, Washington, Alaska, Japan, China, South East Asia and Indonesia.As such, British Columbia tends to share with more history with those areas that it does with the more easterly parts of Canada and the United States. British Columbia is regularly described in superlatives both positive and negative - most spectacular scenery, strangest politics, greatest environmental sensitivity, richest Aboriginal cultures, most aggressive resource exploitation, closest ties to Asia. Jean Barman's The West beyond the West presents the history of the province in all its diversity and apparent contradictions. This critically acclaimed work is the premiere book on British Columbian history, with a narrative beginning at the point of contact between Native peoples and Europeans and continuing into the twenty-first century. Barman tells the story by focusing not only on the history made by leaders in government but also on the roles of women, immigrants, and Aboriginal peoples in the development of the province. She incorporates new perspectives and expands discussions on important topics such as the province's relationship to Canada as a nation, its involvement in the two world wars, the perspectives of non-mainstream British Columbians, and its participation in recreation and sports including Olympics. 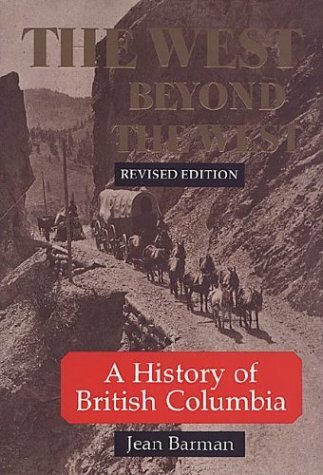 First published in 1991 and revised in 1996, this third edition of The West beyond the West has been supplemented by statistical tables incorporating the 2001 census, two more extensive illustration sections portraying British Columbia's history in images, and other new material bringing the book up to date. Barman's deft scholarship is readily apparent and the book demands to be on the shelf of anyone with an interest in British Columbian or Canadian history. 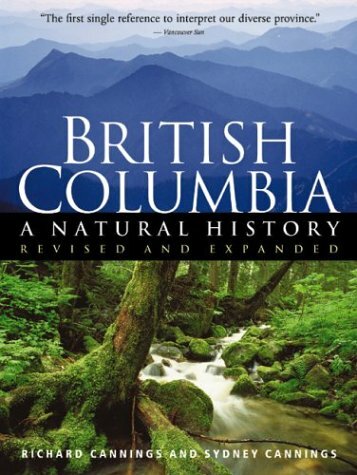 As a newcomer to BC I found the style and flow of this book a great help in understanding the diversity of BC landscape and ecology. The book give enough detail and titbits to interest me yet avoids being a reference text bogged down with numbers and latin names. 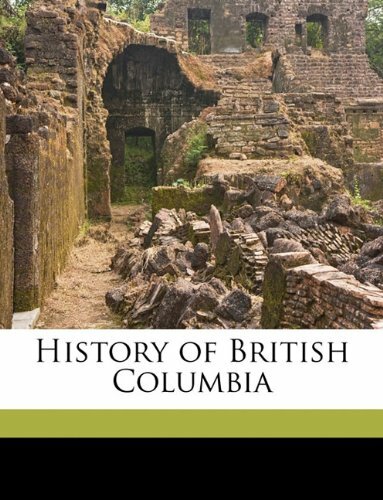 In tandem with another of Cannings' books, Geology of British Columbia: A journey through time, a good level of understanding of the factors contributing to how BC is today can be gained by the general reader, who may not necessarily be 'scientifically' learned. I think that both of these books would have benefited from the addition of larger maps, perhaps as a fold out section. 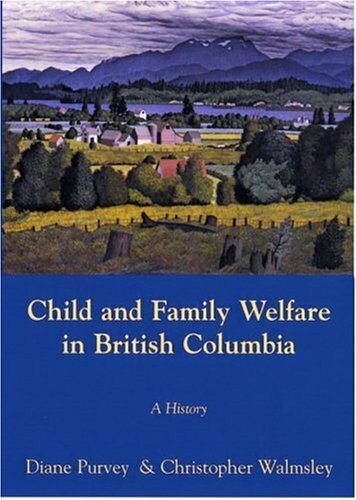 This book by Ormsby, one of the pre-eminent historians of British Columbia in her day, serves as good general history of the province. Published in 1958 in honour of the provinces centenary celebrations, B.C. : A History isyour typical narrative account. Ormsby starts off in the 18th century andproceeds to slowly take the reader up to the present day. Like mostHistorians of this era, Ormsby betrays a strong preference for the eventsof the colonial, pre-confederation British Columbia. A lot of time is spentdetailing the effects that resource extraction (such as mining or the furtrade had on the development of the province), as well, Ormsby is a strong"traditionalist" in that she prefers to focus on the lives ofgreat men (usually politicians or administrators) to highlight hernarrative. Captain James Cook first made contact with the area now known as British Columbia in 1778. The colonists who followed soon realized they needed a written history, both to justify their dispossession of Aboriginal peoples and to formulate an identity for a new settler society. Writing British Columbia History traces how Euro-Canadian historians took up this task, and struggled with the newness of colonial society and overlapping ties to the British Empire, the United States, and Canada. 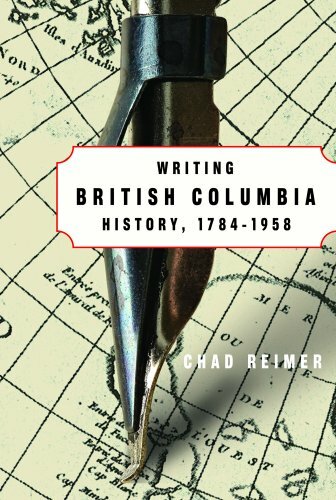 This exploration of the role of history writing in colonialism and nation building will appeal to anyone interested in the history of British Columbia, the Pacific Northwest, and history writing in Canada. Reksten does a very good job of immersing the reader in all aspects of BCs history with this book. The book is divided into 5 sections: prehistoric (well, approx 1700) to 1857, 1858 to 1865, 1866 to 1913, 1914 to 1949, and 1950 to 2000. In each section Reksten discusses cultural, social, political, and physical aspects of BCs history, and does so in a very unbiased way. The book is filled with amazing pictures, maps, direct quotes from the people of BC, and personal accounts of many events. The pictures and maps, along with their detailed citations, make it a great coffee-table picture book, and Rekstens writing abilities make it great as a full-length read. This sixth volume in the Osgoode Society's distinguished series on the history of Canadian law turns to the a central theme in the history of British Columbia and the Yukon - law and order. In the early days of British sovereignty, the frenzied activity of the fur trade and the gold rush, along with clashes between settlers and Natives, made law enforcement a difficult business. Later, although law and order were more firmly established, tensions continued between the dominant populations committed to the practice and rhetoric of British justice and those groups owing allegiance to other value systems (such as Native peoples,Asian immigrants, and Doukhobors) or those resisting authority (criminals and the criminally insane). These essays look at key social, economic, and political issues of the times and show how they influenced the developing legal system. 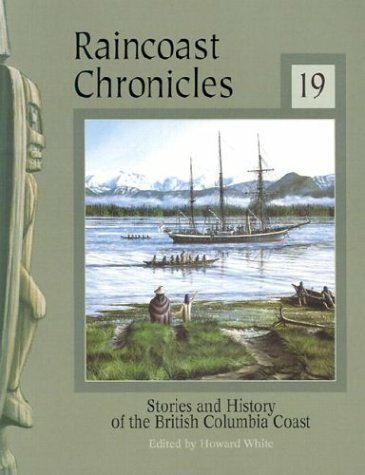 A Pacific Northwest publishing tradition since 1972, the Raincoast Chronicles series is still a perennial favourite with its funny, fiery depictions of British Columbia's past. This latest issue includes more of what made Raincoast Chronicles famous--an eclectic and entertaining mix of stories and characters.